You may not think that a man who has been single all his life would know about love and romance, but I do. After growing up in the church and over 20 years of ministry I have seen a lot. What I have seen causes me to take love, romantic love more seriously. The media today shows you a shallow love, consisting of plastic faces, plastic breasts and plastic hearts. I have seen way more than that. I have stood in the hospital hallway with an 87 year old man, who was crying like a little boy because his wife of 67 years lay sick in the room nearby, close to death. She was his life. They never went anywhere without each other. They washed the dishes together every night because whatever the other was doing, the other wanted to be there. Neither of them ever ran to the post office alone. They went together because they loved being together. I ask myself, am I ready for that kind of love? By the way, the wife did not die. She is still alive, but her husband died a few months ago. She still talks about him all the time. Marriage is for life. If I fall in love like that, will I one day have to mourn the death of my spouse? Or will she mourn my death? I remember a story about an old man standing at the fresh grave of his wife of many decades. As he stood there, he was overheard saying, “It ended exactly how I wanted it to. She died first.” Let that sink in. It may not mean what you think. If I fall in love and get married I will not want to lose my wife and hopefully she would not want to lose me. Selfishness would make me want to die first so that I can get out of grieving her death when she goes. A lot of selfless love was behind the old man’s words when he said he was glad she died first so that she would not have to grieve. He grieved instead. That’s love. I believe that’s what Paul talks about in 1 Corinthians 13. I have seen a wife taking care of her sick husband day after day year after year. Because of his sickness it has been years since he was capable of doing anything for her. Even when he was well he was not the most faithful. Still she cares for him night and day year after year. Why? Because she made a vow 35 years ago. In her eyes, his lack of integrity on his vow did not loosen her from her vow. She still makes good on that vow every day. Wow! That’s love. That’s romance. Being single is such a convenient way to be selfish. I am single so I can say that. I am not saying I am selfish, or all single people are selfish. I have heard it said that God gave us the Sabbath and tithing plan to help us systematically overcome selfishness. 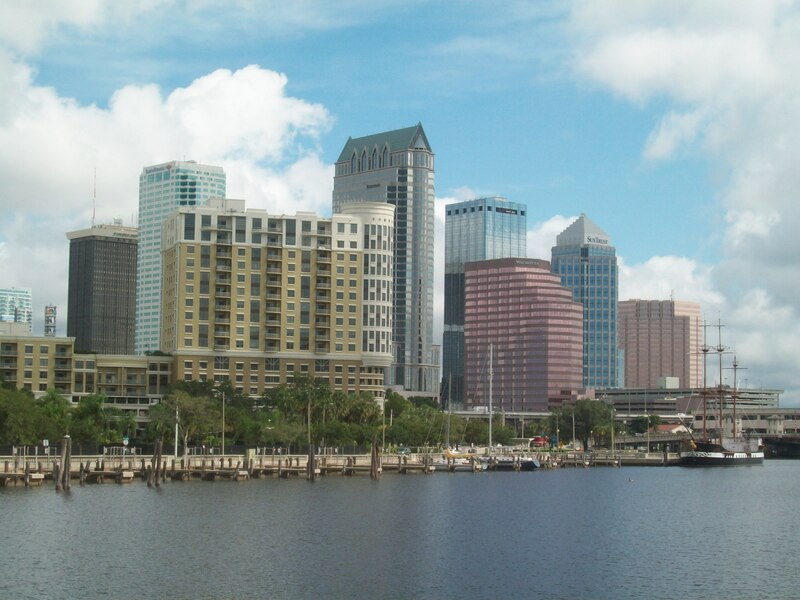 The Sabbath helps us overcome selfishness with our time, and tithe, the same with our money. Well I believe you can add marriage as another way to systematically overcome selfishness with both time and money. I see married men and women spending their time and money unselfishly and making sacrifices every day. I may have never married yet, but I know what real love is. I have seen it, not on the silver screen, but in the daily lives of ordinary people. Well, ordinary people to Hollywood maybe, but they are heroes to me. Heroes not because of a one-time heroic effort, but life long day after day heroes. I am sorry if this post appears morbid or depressing. I just want people to know how I think. In my ministry I see things others may or may not see. When I think about romance, and believe it or not I do think about it, I don’t think about William and Kate in a fancy carriage. I think about the man who spends his last dime to keep his wife alive from some rare disease. I don’t think about the rich doctor who shows up at ritzy parties with his cute little perfectly proportioned nurse. I think about the man who works two jobs and comes home every night to care for his wife who is recovering from a mastectomy. That’s the world that I live in and see every day. That’s what love and romance means to me. 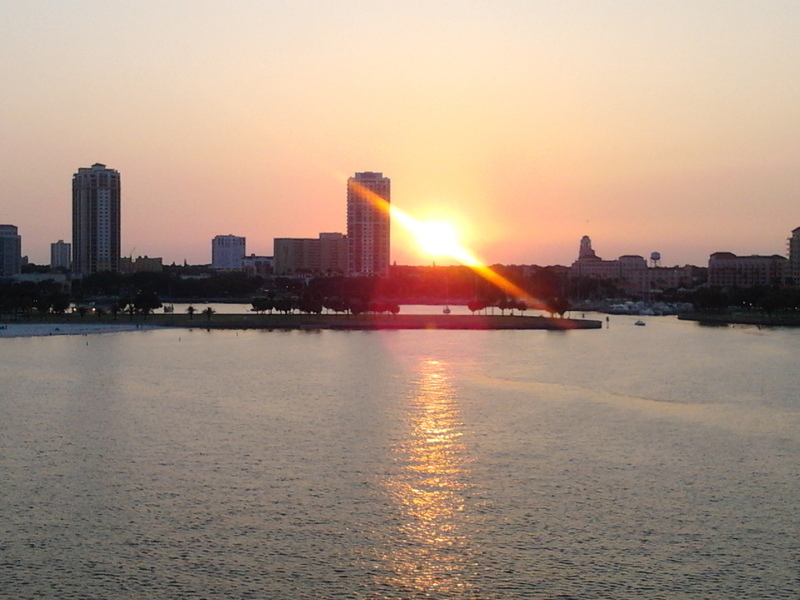 I am writing tonight from the beautiful Tampa Bay area, and home of the 2008 AL Champion Tampa Bay Rays. 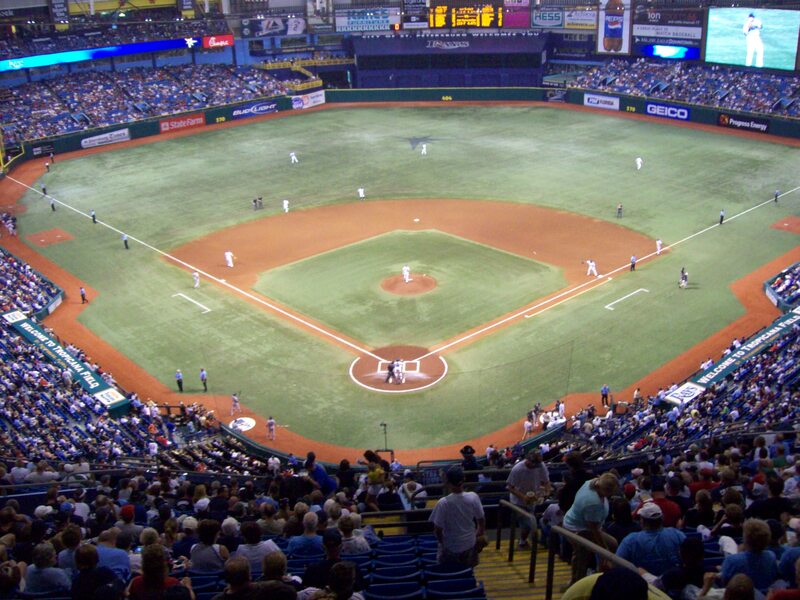 I have been to several Tampa Bay Rays games over the years, but one time in particular, I went with my friend David in 2008, to The Tampa Bay Ray’s stadium, Tropicana Field, where we watched the first place Rays defeat the second place Red Sox 2-1. It was a great game and the Rays did not win it until the bottom of the ninth, when our catcher, Dioner Navarro hit in the winning run. While at the game I noticed several Red Sox fans. You could easily spot them with their Red Sox shirts, caps, and jackets. I even sat by one. He assured me that the long fly that Ortiz hit to deep right center for an out would have been a homerun at Fenway Park, where the Red Sox play their home games. I noticed something about the Red Sox fans. They came into our home ball park but still dressed and acted like they would at Fenway. They did not buy the Tampa Bay Rays t-shirts and caps and try to blend in at all. While most of them were very polite and pleasant to be around they still made it clear that Tropicana Field was not their home and the Rays were not their team. They did not mind looking like visitors. They did not mind that they dressed and looked different. They were proud of their team and where they were from. They did not cheer when we cheered. They did not mind standing out in the crowd and looking and acting different. They dressed and acted in Tropicana Field, they same way they would dress and act at Fenway. Do we dress and act here on this earth, the same way we would dress and act in our home which is heaven? As Christians, let’s let the world know earth is not our home. While being as polite and pleasant to be around as possible, let’s still let it be known our home is in heaven, not here. We do not blend in with the world because we are not a part of this world. Let’s not be afraid to look different and act different. Let’s be as proud of where we belong as the Red Sox fans were proud of where they belong. 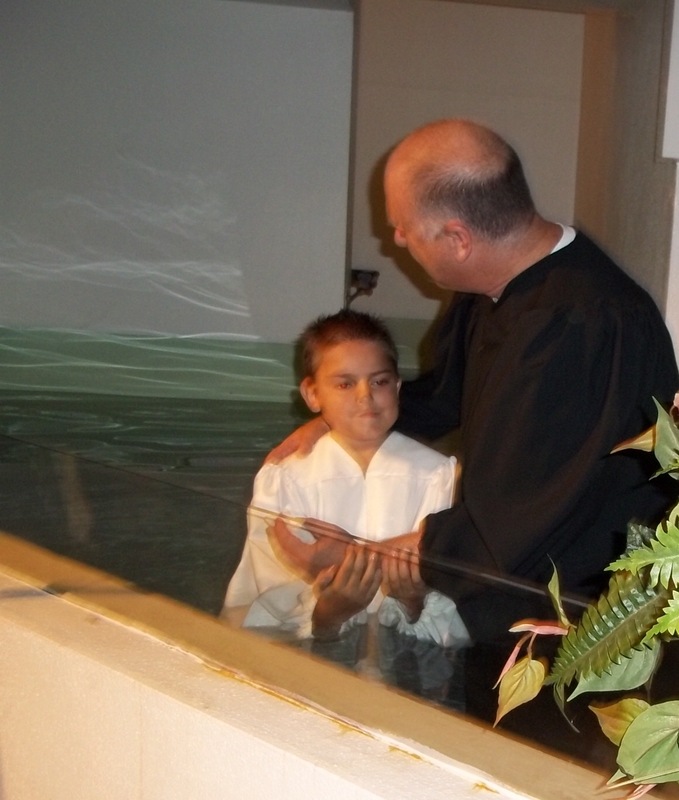 A little over a year ago Justin told me he wanted to be baptized. 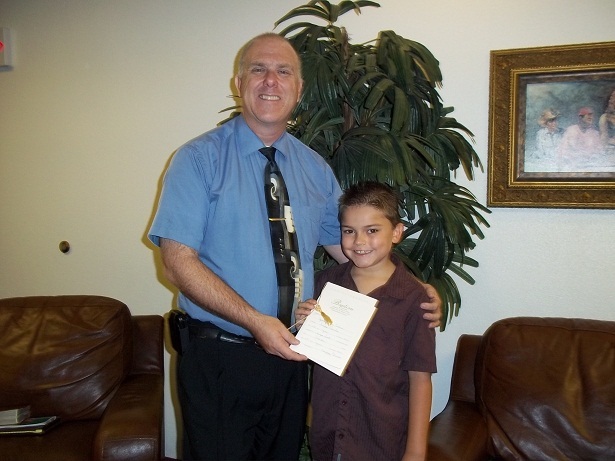 I gave him a children’s baptismal workbook which he completed right away. He then attended my baptism class at church. Justin was always glad to answer questions and always glad to pray when called upon. 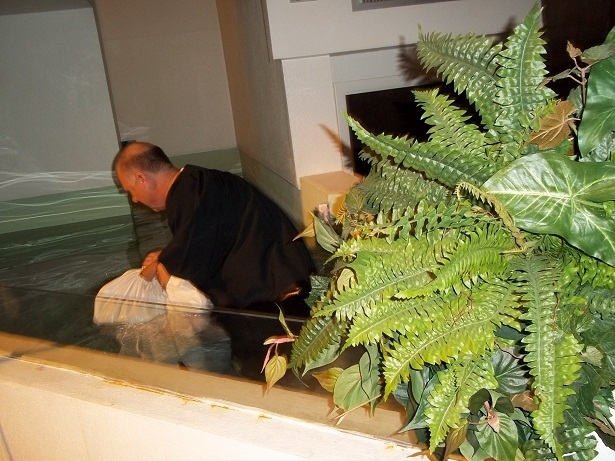 During this entire time period, Justin showed that his desire to be baptized was earnest and sincere. He told me he wanted to be baptized so that he could live a new life in Jesus, and be closer to God. 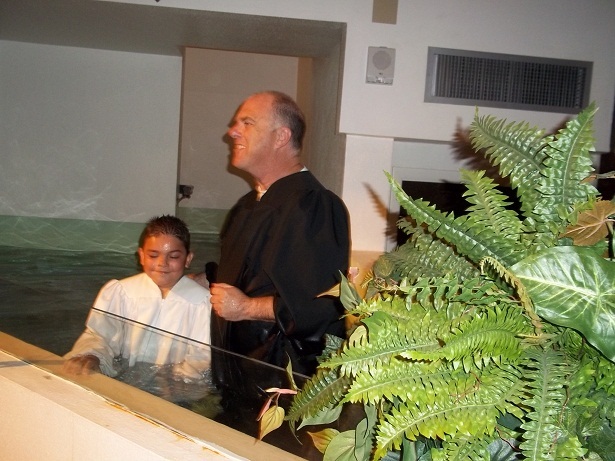 He also told me to him, baptism also meant following all of the Bible, including the worshiping on the Bible Sabbath. Below is Justin receiving his baptism certificate. It was a privilege to baptize Justin; especially since he is the same age I was when I was baptized. Justin does not want to live for himself now and then give what is left of his life to Jesus later on. Justin wants to give all of his life to Jesus! Justin was all smiles when he came up out of the water! 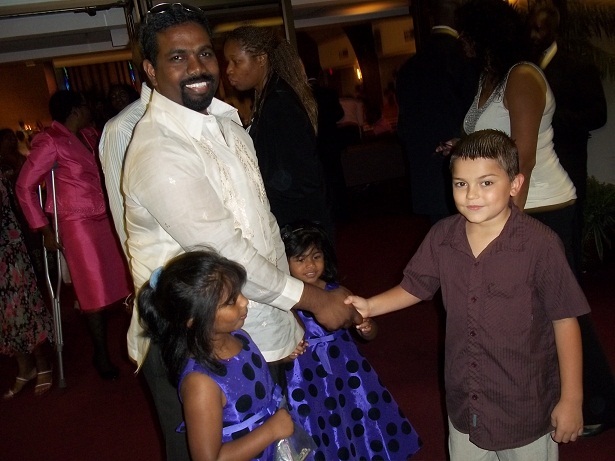 After church everyone welcomed him to the Tampa First SDA Church family. 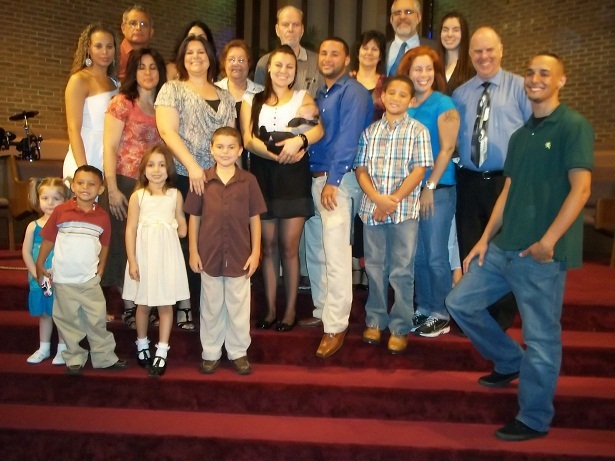 This was a very special day for the whole family, as Justin’s sister Leah, also dedicated her baby to Jesus! Friday’s section of this week’s SS lesson, (Android App) asks the question, “Jesus ended the parable of the wedding garment with these words: “For many are called, but few are chosen” (Matt. 22:14). What do you think He meant by that statement, given the context of the parable? Some people have the idea that God invites many people but only accepts a few. This contradicts what Jesus says, “him that cometh to me I will in no wise cast out.” –John 6:37 As I read the whole story of the wedding feast in context, I agree with what “The Peoples Bible” commentary says. “For many are called, but few are chosen. The many called embrace all who hear the gospel; the whole Jewish nation, and the Gentiles of every land where the gospel is preached. The chosen are those who choose to accept.” When you give an invitation the chosen are now responsible for their choice as to if they will accept the invitation. I personally take it to mean, many are invited but few choose to come. After all, isn’t this exactly what was happening in the parable? Isn’t Jesus just summing up the illustration of His story, that many were invited but few chose to come? When we accept Christ, we more than accept eternal life. We accept the righteousness of Christ, which is to be exercised in our life. Righteous living is as much a free gift as eternal life. It is a package gift. No pun intended, they both come together. There is no excuse to be found without Christ’s righteousness. This is why the man in the story is speechless. He has no excuse for rejecting Christ and His righteousness. The gift was offered and he chose not to accept. “As many as received Him, to them gave He power to become the sons of God, even to them that believe on His name.” John 1:12. This power is not in the human agent. It is the power of God. When a soul receives Christ, he receives power to live the life of Christ. –Christ Object Lessons, p. 315. Many are called, but few chosen. Why is this?–It is because so few consent to feed upon Christ as the Bread which cometh down from heaven. –Youth Instructor, October 21, 1897. Just as I can’t drag you to my party, so Christ will not force someone to wear His robe of righteousness and drag them to heaven. They must consent. They must accept. While Christ has already chosen them, they must now choose Him. Many are called. Few choose to come. Do you choose to accept the free invitation to exercise His power in your life?